Trapt is an American rock band that formed in Los Gatos, California in August 1997. The group is composed of lead singer Chris Taylor Brown, lead guitarist Robb Torres, bass guitarist Peter Charell, and drummer Aaron "Monty" Montgomery. 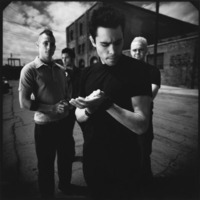 They have released four studio albums to date: Trapt (2002), Someone in Control (2005) , Only Through the Pain (2008) and No Apologies (2010). The band is based in Los Angeles, CA.